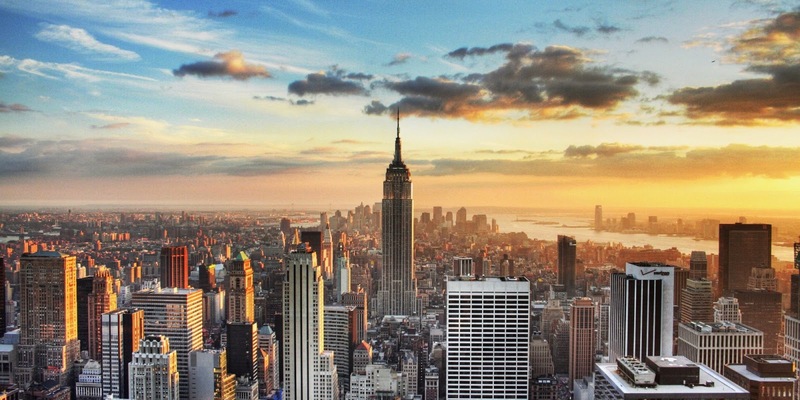 Beautiful You: New York | Planning and Preparation! New York | Planning and Preparation! Some of you will probably know I am going to New York in less than two weeks time, I know if you read my post when I first announced it that you will feel the same but I cannot believe how quickly it has come around. It was over 200 hundred days away and now it is only 13 days away. I know I don't usually do posts on this topic but I thought that I would share what we have done to plan our trip and what I am going to be doing in the upcoming weeks to make sure I am ready to go! As it is my family and I going this made it a lot easier to plan as we made time for what everyone wants to do. We started off the planning process when we were on holiday in the summer and we did this by writing a list of all the places we would like to see whilst we are there. Obviously this was a really long list and only being there for a few days we had to go through it a couple of times to get it down to the specific things that we definitely wanted to do. This did take a long time but you just have to be realistic and think about how much you can actually fit in while your there and then plan those things. We finally got the list down to a realistic amount of attractions and from there we tried to group those that were close together and then plan our days around the groups of attractions. For example on our first day we are going to the Statue of Liberty and then we are doing the 911 Memorial as they are both down town and within a reasonable distant from each other. Once we had this sorted that was basically our entire itinerary sorted out and I will say that it is quite packed but if you don't make the most of your time there then what's the point? We also looked into the prices of each attraction and whether it would be worth while for us to buy the New York Pass. We came to the conclusion that it would be as it allows you to skip queues and go straight through which is definitely an added bonus. The only attractions that we did book are the Statue of Liberty and the 911 Memorial as it is better to have specific times so you know you are guaranteed to get in. So as far as planning that is all that we have done and I think that we have a pretty solid itinerary and I am unbelievable excited to go now. However, I now face the daunting prospect of packing and deciding what to take with me. This is always a struggle for me because you don't know what the weather is going to be like, you want to look nice but you don't want to come across like your trying too hard and you don't know what clothes you'll buy over there! I just think that I am going to make sure I have enough jumpers and hats with me so that I can just throw them on if I get too cold! I am a bit stumped as to where to go from here so if you have any ideas or travel tips that you think will help me then please leave a comment below because as I am sat here writing this I am actually getting quite nervous thinking about it! I hope you enjoyed this travel orientated post and I am sure you won't be hearing the end of this before I go now and when I get back because I am definitely going to write some post about my trip! I'm so jealous that you're going to New York! It sounds like you're all very organised, definitely the very opposite to my family. I think it's good to have a jam packed itinerary, especially in such a special place, if you decide you need to vary off it you can always make some last minute changes! Have fun, I look forward to seeing pictures! See everything, and do everything!